← Charcoal dark tones hare ‘ Watch It’! Having had a very unproductive couple of weeks of painting, I decided to get the paints out. I received my new paint palette during the week, it came four months after I had ordered it from Jacksons It had been on back order, but there had been delays on them coming into the country. 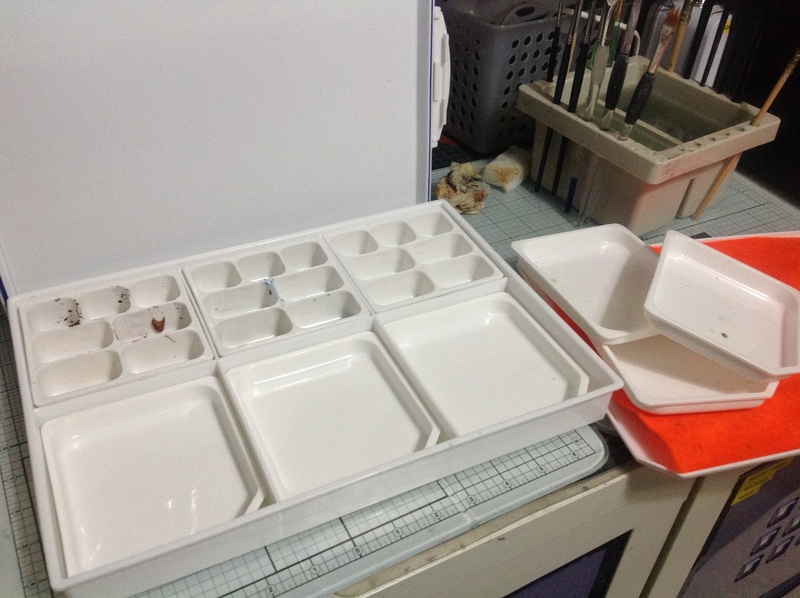 I am so happy with it, it has lots of small sections, and most importantly for me, a lid that shuts, to keep the cats off! However a great bonus, having put some paint in during the week, when I began my hare….. Five days later the paint is much like it would be straight out of the tube, result! Happy me, worth the wait. I think it is their academy range? Such a long time ago I can’t recall the name of it. 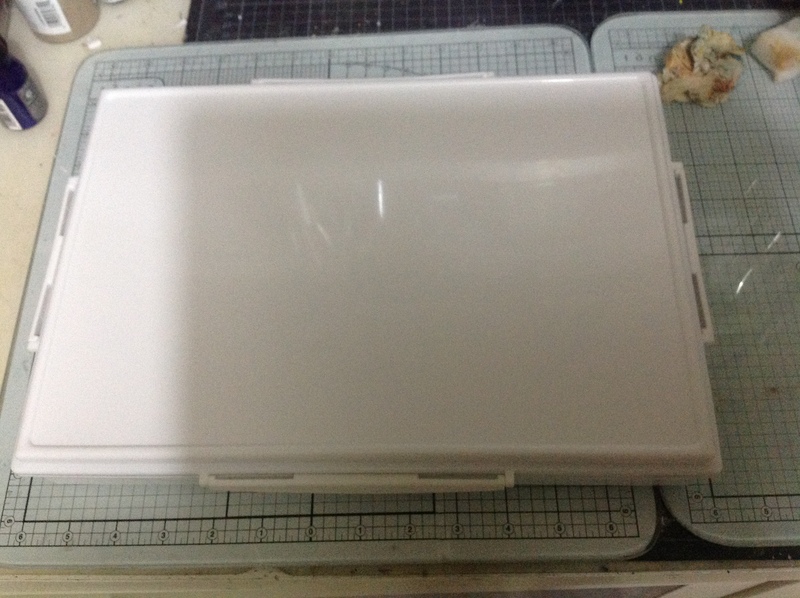 I place an A 4 damp piece of felt over the paint, but not touching them… Then seal the lid. Yippee. 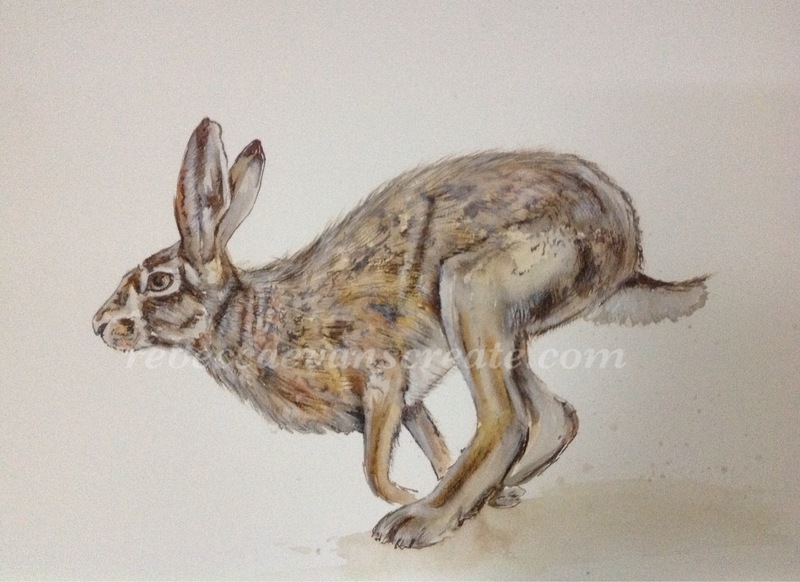 this is my brown hare ‘Esme’ ….getting back into the swing. Just in case you were interested in my new paint palette, here is a picture, while it is clean, with little paint…..not for long! new paint palette fron jacksons – academy? This entry was posted in art, Hare, watercolour and tagged art, Hare, painting, Painting, watercolour. Bookmark the permalink.